The city Plymouth is located on the South of England. Ian who is from this place told me about his home town. 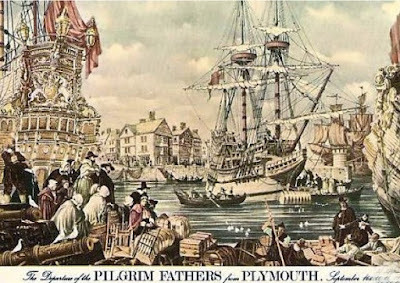 Plymouth became famous in the time of discovering the New World. 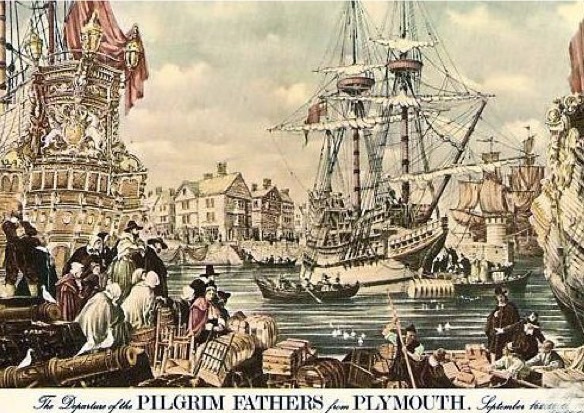 The Port of Plymouth is where the Pilgrims boarded the Mayflower in 1620 to set sail for America. It is why many tourists attractions are dedicated to this event. One of them is a granite block which marks the entryway to the famous Mayflower Steps dated by the time of the 17th century. Next, the Mayflower Museum represents an exhibition about an epoch of exploring America. 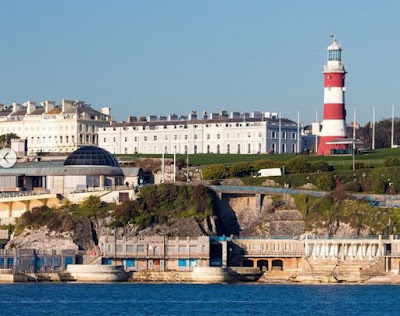 Tourists can buy in the museum's shop Pilgrim-themed souvenirs and other attractions such as Smeaton's Tower (a 1759 lighthouse) and the Elizabethan House (a sea captain's home built in the era of Sir Francis Drake). It is still a very busy port for fishermen. Because it is a port there are a lot of transatlantic yachts there. The impression about Plymouth is that life here is flowing slowly. Seaside town with a cold sea is a very different from a town on the warm sea. If you want to find the calm and peaceful place, this city corresponds to such wishes.